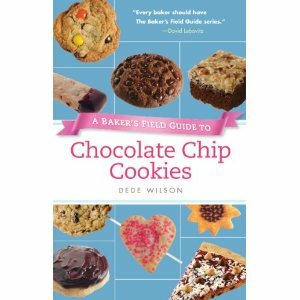 A collection of 75 mouth-watering recipes in the same user-friendly format and fun design as the best-selling A Baker’s Field Guide to Christmas Cookies. Every cookie is photographed in full color and contains chips, pieces or chunks of white, milk or dark chocolate. Bar cookies included too. Some of my favorites: Hazelnut Gianduja Chunk Cookies, Espresso White Chocolate Chunk Cookies, Chocolate Chocolate Chip Shortbread, Coffee Toffee Chunk Cookies and Browned Butter Oat Scotchies (with chocolate and butterscotch chips). Make sure to check some of my posted recipes: Mocha Chip Cheesecake Brownies and Ménage à Trois Cookies.